Students will write a short paragraph with a topic sentence, at least two evidence sentences and several analysis sentences to support, and a concluding sentence about why being “off-track” is needed. Off track is very important. It’s important because I can spend more time with my family. To get to spend more time with my family makes me feel happy. We can also visit our relatives that lives far away. 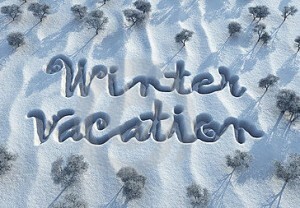 Happily, we can go on vacations in winter, spring, summer, fall when we are off trace. For me it’s important because I can go to china and celebrate chinese new year with my mom, sister, brother, and my grandparents. Off track means a lot to me. Going off track is a fun thing to do. Happily, I need it to catch up with my reading. Reading, library books is a good thing for me while I’m off track because I need to catch up on the books that I didn’t finish at school. Going, off track is good to spend more time with my family. I don’t spend lots of time with my family because of school,homework, and I have to go to bed at 8:30. Off track time is a good time for me. Having off-track time makes me happy. One reason is we get to relax. One way to relax is to catch up on book, projects, and shows. happily, I can get a break from all the hard work. Another reason is I can stay home for the holidays. Staying home for the holidays, I spent time with family. Joyfully, I have fun with friends. To have off-track time makes me feel happy. Off track time is very importunate. To have off track time is importunate because you need rest. To rest will make your body feel refreshed.You also need to rest because your body might get overwhelmed from working all day.Off track time is also importunate because you need to bond with family.Bonding,with family means having time to talk about life and encourage them. you need bonding time with your family so they can be more open with there life.Being off track is good for students and teachers. Alyssa I think you spelled their wrong because this is what you typed there. Being off-track is great for students at school. One reason I like it is because we get a break from homeworks. At home, when you do your homework and it takes too long you could get stressed out. Your brain would want some break from doing all those homeworks. My second reason is that we get to spend more time with our families. We would go home and since we sometimes have a lot of homework it would take too long. To be off-track you get more opportunities to spend time with your family and that would make me feel greatful. Being off-track is good for us students at school. I need off track time because it is important. Being off track is remarkable. Mainly, my family and i could spend time together. Also, i can get some rest so my brain can get ready for the next month. Being off track is very exciting for me. my family are going to my country called El salvodor. to be off track it is very significant. Jasmine you have some mistakes on the paragraph. I love your choice of words young scholar. Having off track is really important to the students. I need off track time because I need to relax from homework. Homework puts lots of stress on the kids. To have lots of homework makes me feel worried that I am not going to finish. At home, I get to see my family and spend time with them. Also when I am on break I get to play with my cousins. I will see them everday too. Going off track is good for teachers and students. Having off track time is important. One reason off track time is important is family. To have off track time makes me feel happy to spend time with my family. We go to places and have a good time. Another reason that off track time is important is because you can rest. Happily you can give your brain time to rest to rest. Your brain can rest from all the thing you learn like math. Going on break is important. I think off-track time is important for us.We also can get break from school.We can have a break from talking with our partners.Also we have to get time off from homework too.We also can spend time with our family.When we are off-track we can celerbrate our diwaial festable we had.Along with that celerbration we can spent time with our family and have fun.Off-track time is fun. I need off-track time to take a break. Everyone needs a break from learning. Taking a break from school,I can release stress and relax. Happily,I take breaks to let myself have fun. At school, I am unable to do things I want,but when I am off-track I can. Also I need to sped more time with my family. To be at home with my family more makes me feel closer to them. Off-track time allows me to learn things I never knew about myself. How is time off important and needed? Students needtime off school. We need a cgance to get away from stress. Maybe a student is having a hard time with homework. Sometimes you might feel stress because your worried about test scores. Rarely you do many things on a weekend, so we need off-track time so we have a chance to go on vacation. You might need to go on a vacationto visit a relitive for a special occasion. We need off-track time so we can have a break from working hardb. Daisy you have some mistakes. Off track is very important. It’s important because I can spend more time with my family. To get to spend more time with my family makes me feel happy. We can also visit our relatives that lives far away. Happily, we can go on vacations in winter, spring, summer, fall when we are off track. For me it’s important because I can go to china and celebrate chinese new year with my mom, sister, brother, and my grandparents. Off track means a lot to me. It is important to be off-track. Being with you’re family is important. When you go off-track you usually spend time with family. We might visit family to celebrate birthdays. We could also visit family just because. To get away from school is sometimes very important Sometimes we should just get away from stress. being off-track means no homework and no tests. To be off-track makes the students happy. I need off track time. Having off track time gives us a break from doing work in class. To not be always focusing on tests makes me feel relaxed. to be having more sleep while off-track causes no more dark circles. Off-track time makes more oprotonites to spend more time with our family. To spend time with our family is like your on vacation.That’s why i need off track time. OFF-TRACK time is very important to me. One reason is by being relaxed and calm. Because sometimes 3 months of school is too overwhelming and makes me really fustrated. Another reason why I need OFF-TRACK time is because of my drowsiness. To be drowsy affects my grades, which makes me miserable. Still drowsy, I wouldn’t be able to pay any attention to a lesson be taught. Family time doesn’t affect my education, but my life at home. Talking, my parents won’t have a clue of what I’m saying because they didn’t spend a lot of time with me. Time OFF-TRACK is shown to be valued to me.